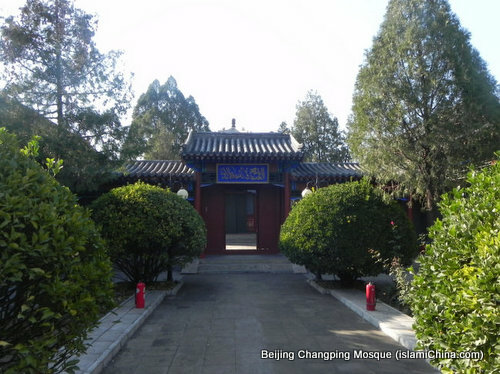 Changping Mosque is located at Wujie in Changping district of Beijing, covering 3000 square meters. 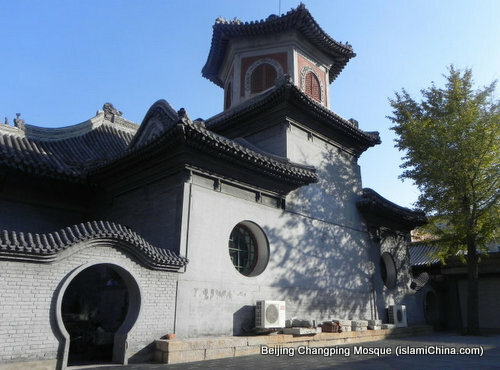 It is recorded that Changping mosque was first built during Yongle's reign of the Ming Dynasty (1403-1424) by the famous Hui Muslim general Chang Yuchun. The construction materials such as stones and gold phoebe (gold phoebe is a rare wood found in China only. In ancient times, it only went for imperial use. 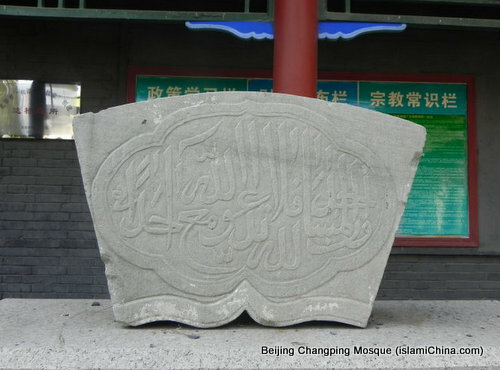 Its rarity uplifts its value, which explains why it boasts far greater value than ordinary wood) came from the Ming Tomb (part of the construction materials for the Changling Tomb were used to build Changping Mosque). 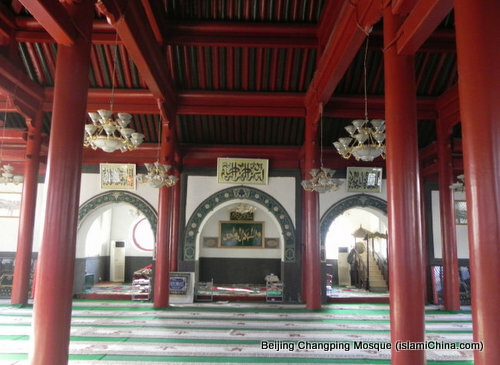 Changping mosque was renovated in the 44th year of Wangli period in the Ming Dynasty (1616). 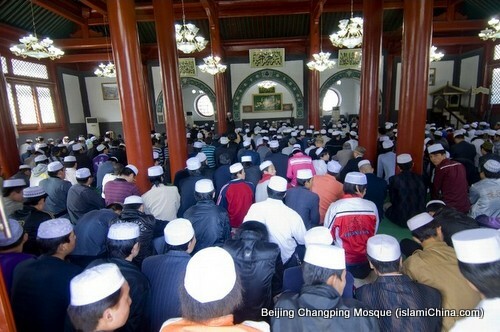 The latest renovation of Changping mosque took place in 1995. 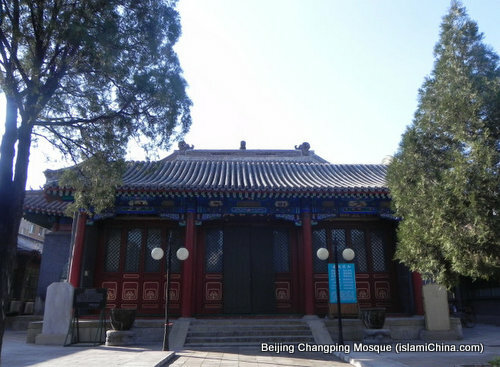 Changping mosque is the only mosque in China that pillars and beams of the prayer hall are gold phoebe, the most precious wood in China which were only used for the construction of imperial palaces and tombs. 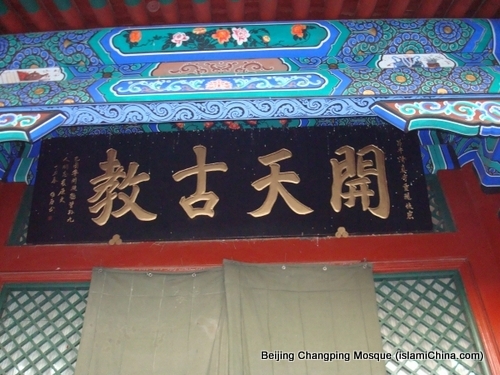 Another feature of Changping mosque is its unique design of minaret. 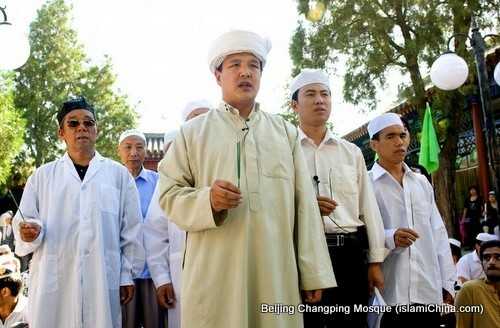 Changping Mosque is now the only Jahriyya Mosque in Beijing.